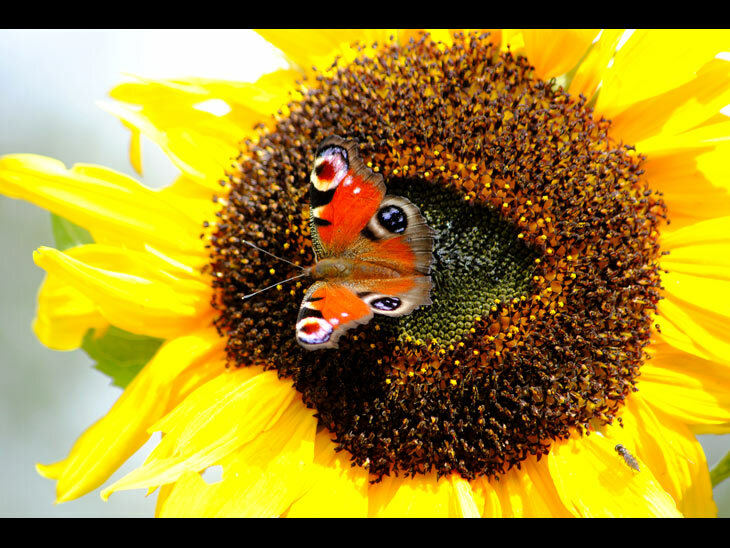 This photo of the beautiful Peacock butterfly was taken in my back garden on the stepladders as the sunflower is nearly 8ft tall. That's a beautiful mass of colour. Bootiful assortment of colours,'In the blink of an eye' you could say. I like the hoverfly at the bottom right of the picture,beautifully captured David.